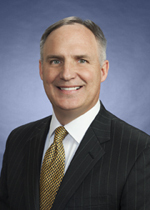 Kevin Sewell has over twenty years of experience representing national and international insurance companies in complex liability insurance coverage disputes throughout Texas and the United States. His extensive coverage practice includes representing insurers in disputes arising out of catastrophic bodily injury and property damage claims, intellectual property claims, environmental claims, construction claims and class actions. He also regularly represents insurance agents and brokers in cases across Texas involving allegations of professional negligence.